Watch this space! Over the next few days we will be implementing some changes to the website. We have been chosen as a GP Practice to extract patient data - how does this effect you as a patient. Please click here for more information. Please note that we now offer 'same day' appointments for the following day at 8pm the previous day. An online Patient Survey is open to users of our GP practice, please click on the link. There will be no Doctors/Nurses or Reception staff available during this time. Please note Stanford Medical Centre and Islingword Road Surgery will be closed from 1pm on Wednesday, 18th July 2018 for Staff training. There will be no Doctors/Nurses or Reception staff available during this time. The surgery will re-open at 8am, Thursday 19th July 2018. Please click here to see our latest CQC Report. Please note, we will soon be obliged by NHS Digital, to send anonymised data regarding the number of eMED3 fit notes issued to the Department for Work & Pension (DWP). If you would like to opt out of this data collection please contact the surgery. New course for students dealing with anxiety, at the university. Click here for more information. Please see the attached pdf here. If you need to appeal your parking fine we can provide you with evidence that you were here at the surgery which you can attach to their online form which is available here or you can send this with your appeal in the post. Please note there are bike racks near the entrance for you to use, if you can come by bike. We are now offering pre-booked appointments between 8.00 - 2.00pm every weekend and 6.30 - 8.00pm weeknights. If these appointment times are more convenient, please let our reception team know and they can arrange for you to be seen by a doctor during these times. If you need to cancel one of these appointments at short notice, or when we are closed, please call 07702335868 and leave a message. This practice will be offering our patients the facility to view parts of their GP medical record online from 1st April 2016. Patients will be able to view this information by logging onto an online account. This will be the same online account which some patients already use to book appointments and order repeat medication. If you are not yet registered to use our online services, Patient Access, please come into the practice with photo ID and an account will be created for you. What is the Electronic Prescription Service (EPS)? EPS is an NHS funded service in England. It gives you the chance to change how your GP sends your prescription to the healthcare professional you choose to get your medicines or appliances from. If you currently collect your repeat prescriptions from your GP you will not have to visit your GP practice to pick up your paper prescription. Instead, your GP will send it electronically to the place you choose, saving you time. You will have more choice about where to get your medicines from because they can be collected from a pharmacy near to where you live, work or shop. prescriptions to be prepared before you arrive. For more information about EPS visit www.cfh.nhs.uk/eps, or ask your pharmacy or talk to us. 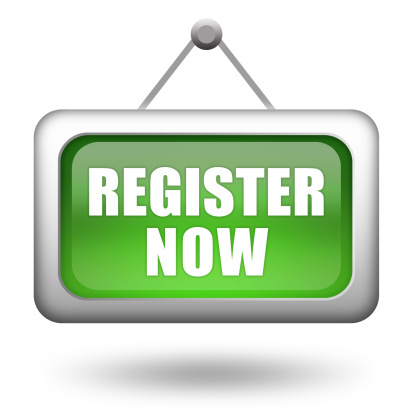 If you are wanting to register with us, please click here for registration details. The practice welcomes all patients residing in the practice area. To register you need to complete a Registration Forms and produce some form of photo identification (ID), as well as proof of address. These could be, a passport and/or driving licence as well as a utility bill and/or bank statement. The car park at 175 Preston road has a camera controlled car park management system that was introduced 1st December 2014. To use the car park you MUST enter your registration number into one of the screens at the reception desks or on the ground floor. If you have come to the surgery for an appointment and forgotten to put in your registration you will have received a fine. You must appeal that fine and when Parking Eye ask you for proof we can provide you with evidence that you were here at the surgery which you can attach to their online form which is available here or you can send this with your appeal in the post. Please note if you were not here for an appointment or not one of our patients we cannot provide any evidence for you. Please never use the car park for the services at 177 Preston Road or for Preston Road.